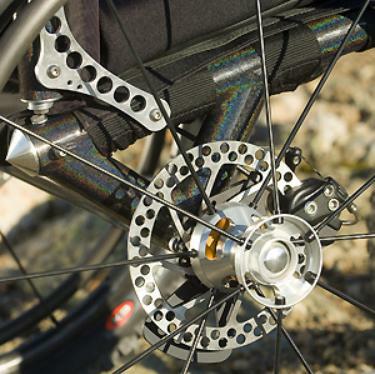 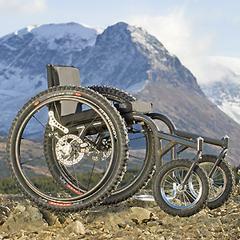 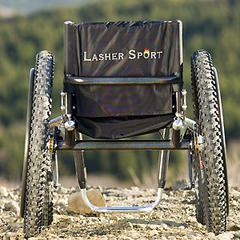 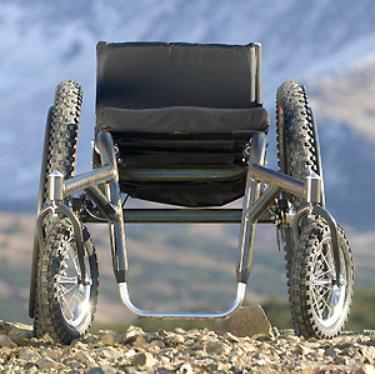 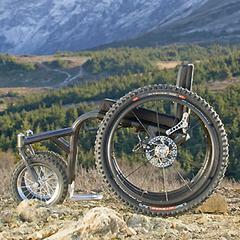 The BT-ATB is a formidable off road wheelchair designed for adventurers and athletes who want to leave the beaten path behind. This chair is remarkably nimble on pavement, but really excels off road. 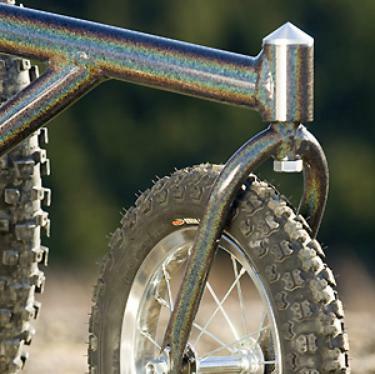 It can easily conquer rough terrain, grass, gravel, rocks, roots, snow, and just about anything else. Our earlier experiments with all terrain chairs had fixed front wheels that only allowed straight tracking (think wheelie to turn), but custom casters offer greatly refined steering control. The BT-ATB offers many trail-friendly upgrades to the base model such as an adjustable push bar for assistance when hiking on extra challenging trails, optional disc brakes to assist in steering and stopping, adjustable center of gravity, and upgradable tires and rear suspension. Regardless of options, the All Terrain Beast is ready to attack a trail near you. 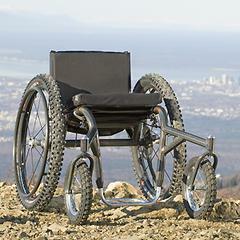 Note: This chair is not intended for downhill racing or other high speed off road events.